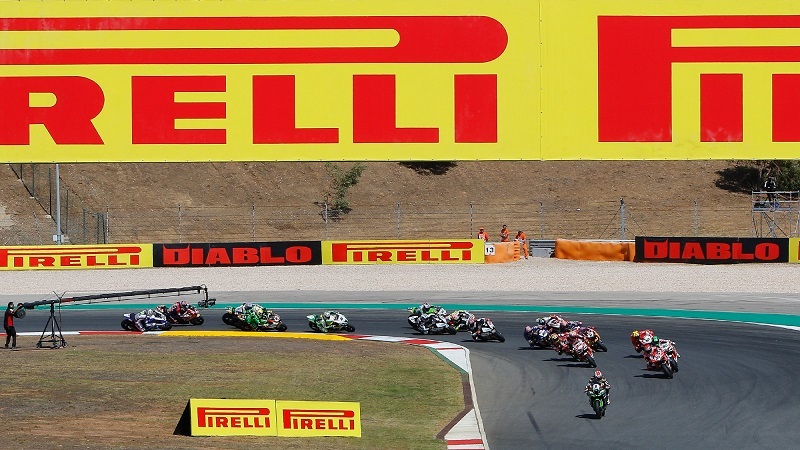 Circuit de Nevers Magny-Cours is the location for Round 11 of the MOTUL FIM Superbike World Championship, and it could be the setting for a British rider to have his name permanently in the history books. Jonathan Rea (Kawasaki Racing Team) could take the world title for the third consecutive season, a feat which has never been reached in the paddock. 17 corners twisting into 4.4km of French tarmac awaits the WorldSBK riders, and with 2017 crown on the line it is sure to be a round not to miss. Two time world champion Rea has strong history around the circuit, securing the double victory in 2015 – both by over 2.8s. On top of this, his confidence will be sky high following his stunning performance last time out around the Autodromo Internacional do Algarve. With two pole positions to his name in France – 2011 with Honda and 2016 – he will hope to bring his strong feeling with the ZX-10RR to the circuit and as we have seen so far this season, a comfortable Rea is an unstoppable Rea. Seven top five finishes since 2009 puts the British rider with an advantage this weekend, but nobody said it will be easy. Still nursing a broken finger following his huge crash Portugal, Tom Sykes (Kawasaki Racing Team) will be looking to make his return to racing as he was forced to sit out of racing action just over a week ago. One of two riders who can stop Rea from taking the title, he will be hoping to get back out on track fully fit and with a good record around Magny-Cours, will be a serious contender for the victory depending on his fitness levels. The 31 year old took three back to back victories, from 2012’s race two to 2013’s race two, as well as holding the pole, race and circuit lap record. Since 2012 he has finished in the top four, and won’t be going down without a fight. 2016’s double race winner Chaz Davies (Aruba.it Racing – Ducati) will be looking to repeat the dominance last season, and following some slight updates made at the test last week he may be feeling more confident ahead of Round 11. Crashing out of race two at Portimao, the Welsh rider is 135 points behind Rea in the championship, but will continue to fight in France. With a varied past at Magny-Cours, it will be interesting to see Davies bring the fight to the green machines. Marco Melandri (Aruba.it Racing – Ducati) has fond memories of the French circuit, as he took the victory back in 2014 with Aprilia in the rain. Despite only have 13 finishers, Melandri showed his stunning talent to take the victory which will no doubt add to his confidence ahead of the weekend. He has welcomed five podium finishes here throughout his career history, and as a 10 time podium finisher so far this season, it will be hard to keep him away from the Prosecco DOC. Fresh from his first podium of the season, Michael van der Mark (Pata Yamaha Official WorldSBK Team) heads to a circuit of which he has a stunning record around. Securing a top five result in every WorldSBK appearance he has made, the Dutch rider will be hoping some updates to his R1 made in the Portimao test, especially with regards to the swingarm, will allow him to continue the momentum he is starting to build into the final rounds of the season. A stunning performance last time out in Portugal from Leon Camier (MV Agusta Reparto Corse) will no doubt boost his confidence into the 11th round of the season, but with a mixed record around Magny-Cours it will be another learning curve for the British rider. Each race Camier has finished here, he has done so in the top ten – including some top fours – and as the underdog in the series he is not one to forget about. Making his return to the Red Bull Honda World Superbike Team, Davide Giugliano was present at the post-Portimao test in order to improve his pace in the WorldSBK series, working through the electronics on the CBR1000RR SP2. With some solid former results around the 4.4km circuit, the Italian will be hoping to get some solid results and build on the progress made with the new Fireblade. Jordi Torres (Althea BMW Racing Team) heads to France off the back of a strong weekend in Portugal, which saw the Spanish rider secure two top six finishes. Consistently finishing in the points around the Magny-Cours circuit in all four appearances in the World Superbike class, the rider from Rubi will be looking to use some updates found from the Portuguese test and hope for a strong finish to the season. WorldSBK action kicks off at Magny-Cours on Friday 29th September, before the first championship battle ensues on Saturday for race one. All can be followed on the WorldSBK VideoPass.